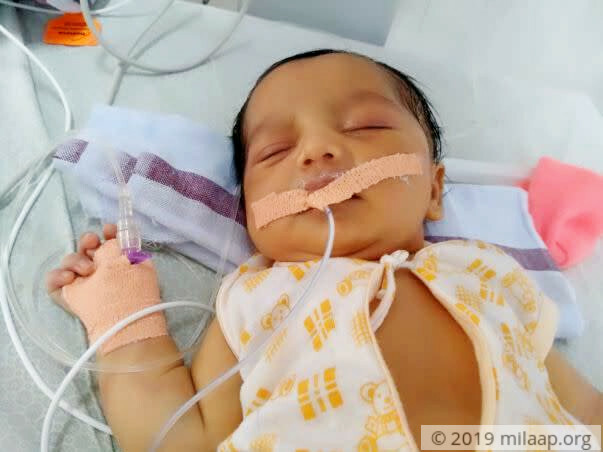 Krishnaveni and Rathaiyah had a baby boy on 28th April 2018. 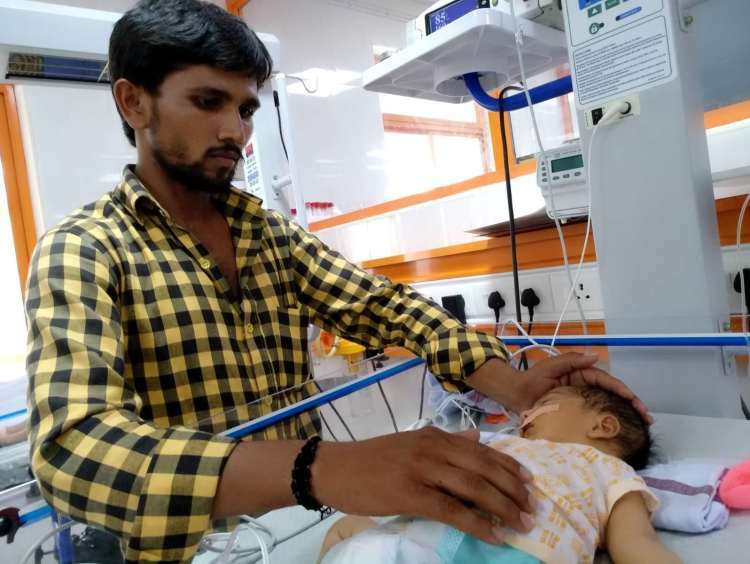 They took the baby home from the local hospital within a day. They were completely unaware that his body is dying from not enough oxygenated blood. Once the parents realized that something was wrong with their son, they went back to the local hospital. From there, they were bounced to different towns until they reached ACH in Chennai. 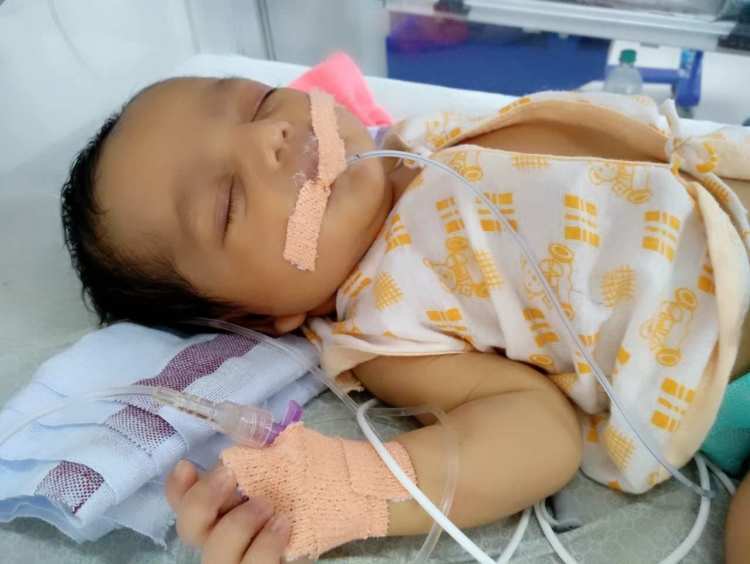 The baby boy was diagnosed with TGA (transposition of great arteries). This means that the vessel that should take good blood to all his organs is in the place of the blood vessel that takes bad blood to the lungs. This essentially means, his organs are not getting enough oxygen, and as a reason, his heart is working harder, while his body is trying to stay alive. Rathaiyah works as a coolie lugging cement on construction sites. He makes about Rs 200/day. 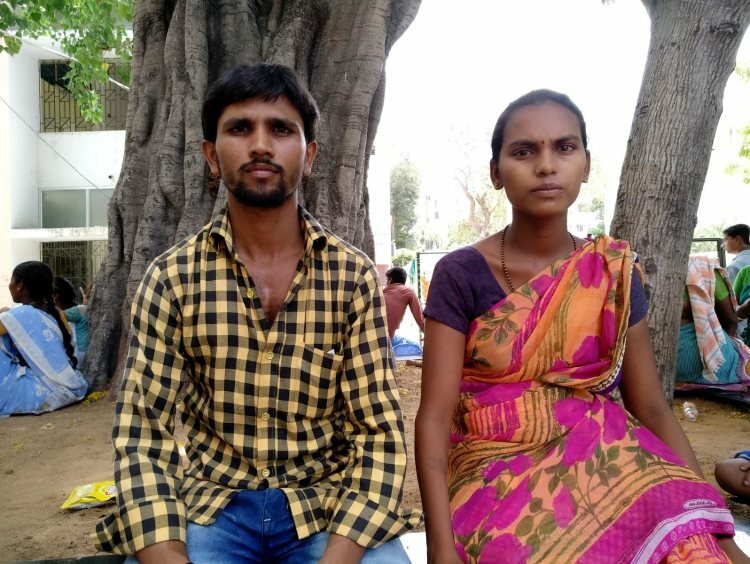 Krishnaveni, even when she was pregnant continued to work as domestic help, to save money for their child. They did not know how serious their child’s illness is until they heard the word ‘surgery’. In fact, they did not even have help at the hospital from family. 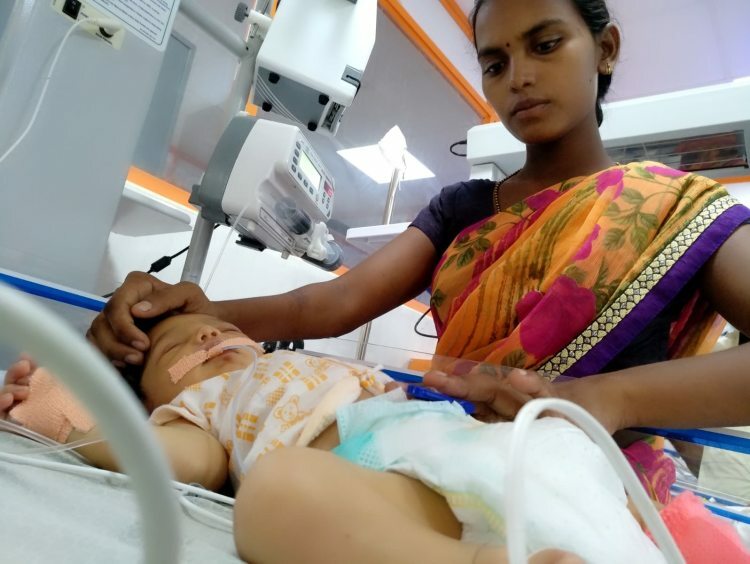 Thankfully, Krishnaveni’s mother offered to stay with them considering that she is only now recovering from labor. Rathaiyah does not speak anything except Telugu. He is struggling to communicate with staff, doctors, and other people he meets in the hospital. He is struggling to ask for help as he needs Rs. 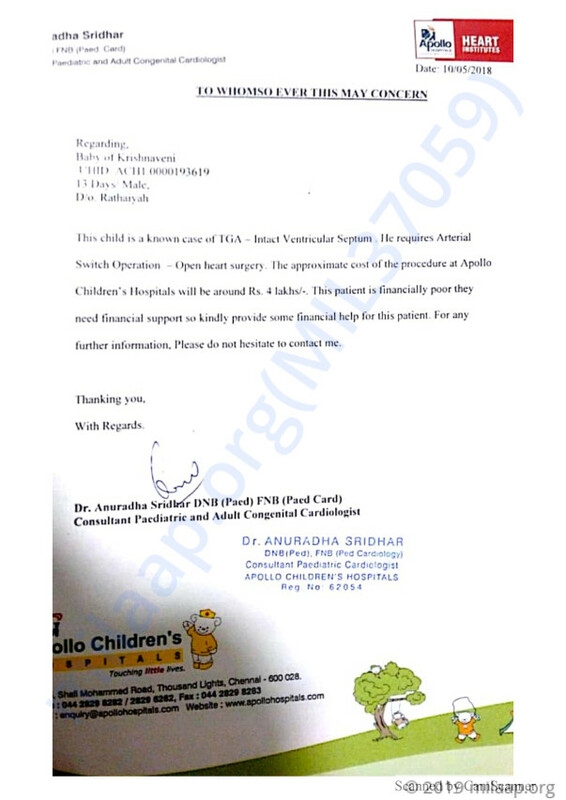 4 Lakhs for his son’s surgery. He borrowed from a few loan sharks back home to pay for consultation etc., at the other hospitals. Now, there is nowhere to go for help. He learned about Milaap, and hopes people can be kind enough to help a stranger. 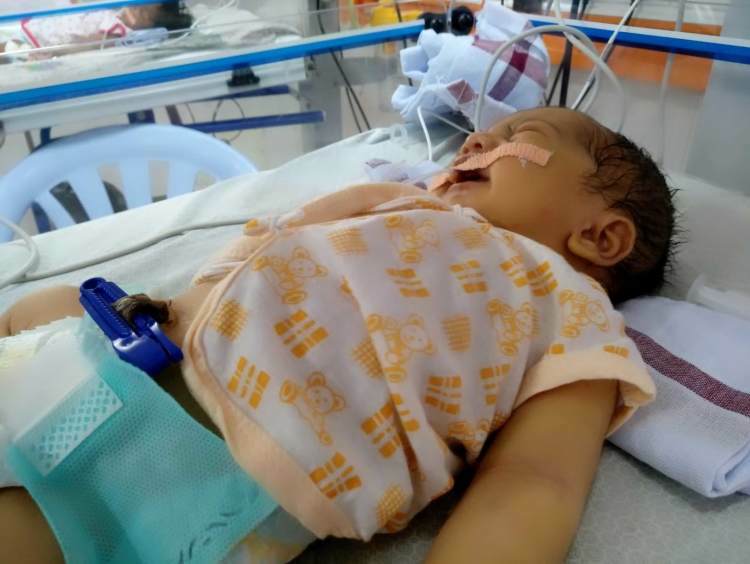 Your contribution can save this baby boy’s life. Thank you for the wonderful support that you have shown towards my baby. He is doing better now compared to earlier and has been discharged as his health improved. He has been advised regular follow-ups. Based on his follow-ups the doctors will be suggesting the future course of action. Thank you all once again. Please do pray for his health and speedy recovery. Will keep you posted. Thank you for the wonderful support that you have shown towards my son. He is doing better now compared to earlier and he has successfully undergone a procedure on Tuesday, 15th May. He is still in the hospital, under observation. The doctors will discharge him once his health stabilises. we still haven't named him and we will name him soon. God bless you kid..get well soon.